 If you would like to make a donation towards Medical Relief International via bank transfer for any of our projects then please use the bank account details below. Examples: Zakat Donation, Ramadan Donation, Donations For Syrian Refugees, Most Needed, General Donation. Many donors would like to donate to a specific cause if so then please make that cause your reference and please email us if you have any queries on contact@medical-relief.org. charitable giving and donations may also include the following types of donations, donations for the most needed, charitable administration support and so on. It takes kind donors and people with a wide variety of skills and experiences to positively influence the world. We welcome donors and anyone wanting to become part of our MRI Volunteers Network.